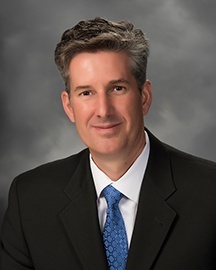 Mike has a diverse manufacturing background which allows him to connect with different areas of an organization and offer valuable insight at a strategic level. 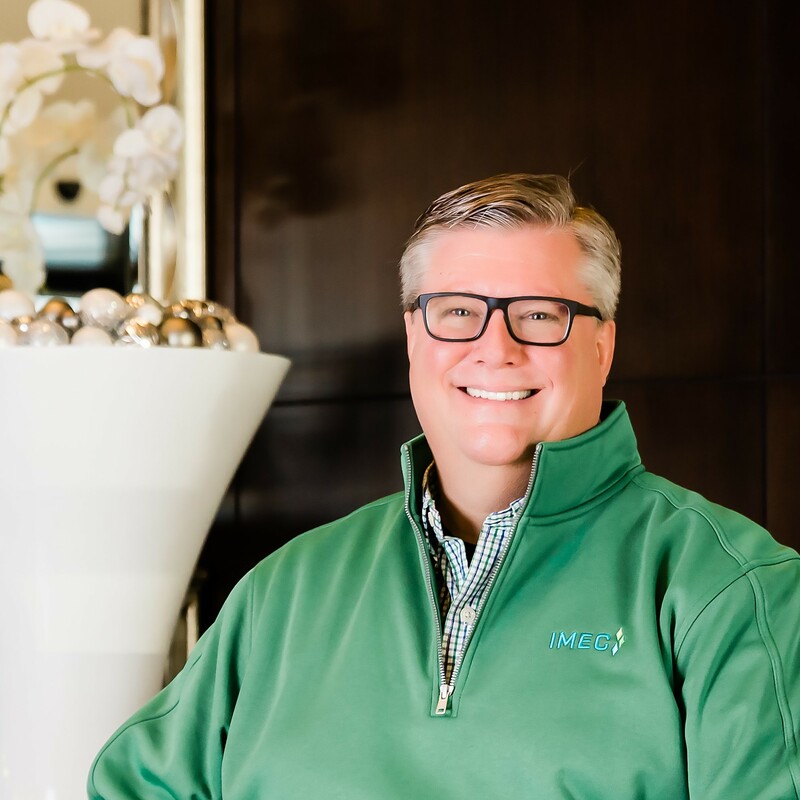 As a Regional Manager at IMEC, he uses his deep understanding of process efficiencies to help businesses in Central Illinois create their competitive futures. 2018 was quite a year! We are dedicated to living out our mission to drive growth through enterprise excellence. That is demonstrated by the impact of our work on the organizations we work with and more broadly on the Illinois economy. 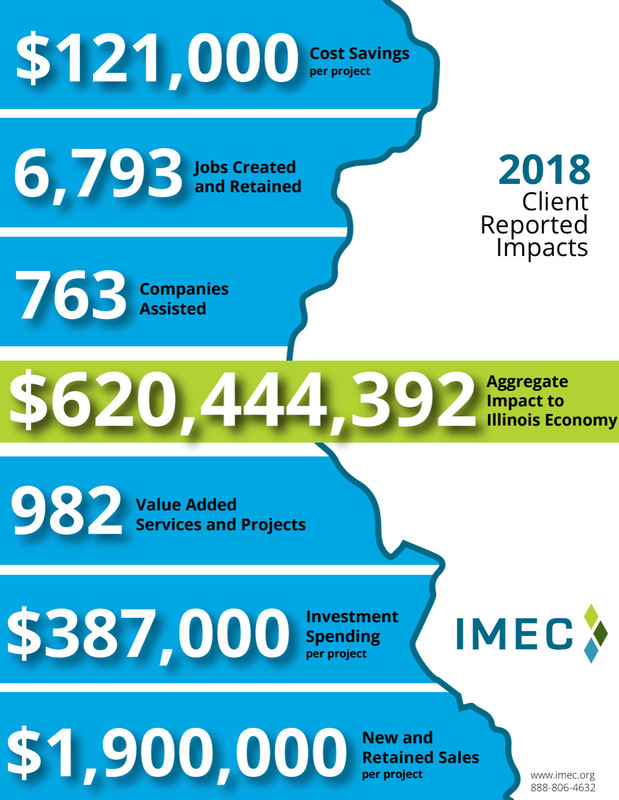 We are proud to announce the IMEC 2018 Client Reported Impact numbers. These numbers demonstrate an increase in all categories, some of which nearly double the results we saw in 2017. 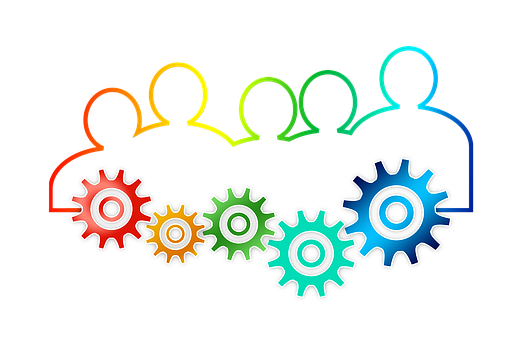 Throughout the year, we survey our clients to understand how our work has helped them. When our clients succeed, so do we. 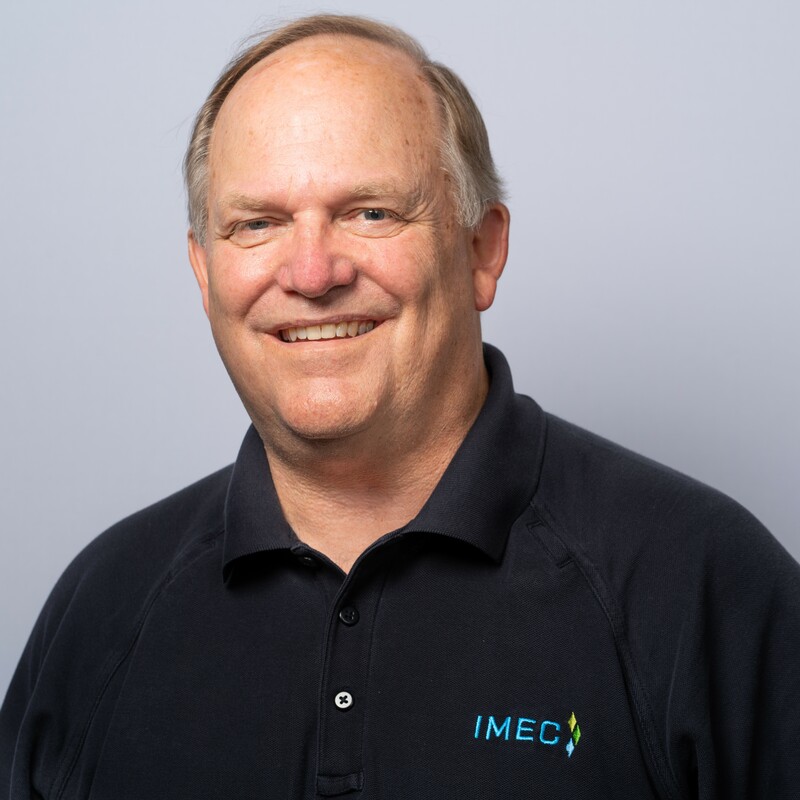 Since joining IMEC 8 years ago as a technical specialist, Rick has used his expertise in lean enterprise, engineering and continuous improvement to drive productivity and competitiveness across Illinois. He brings over 35 years of relevant industry experience to the team. 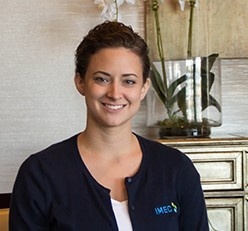 With over 20 years in the industry, Maria joined the IMEC team 2 years ago as a regional manager. 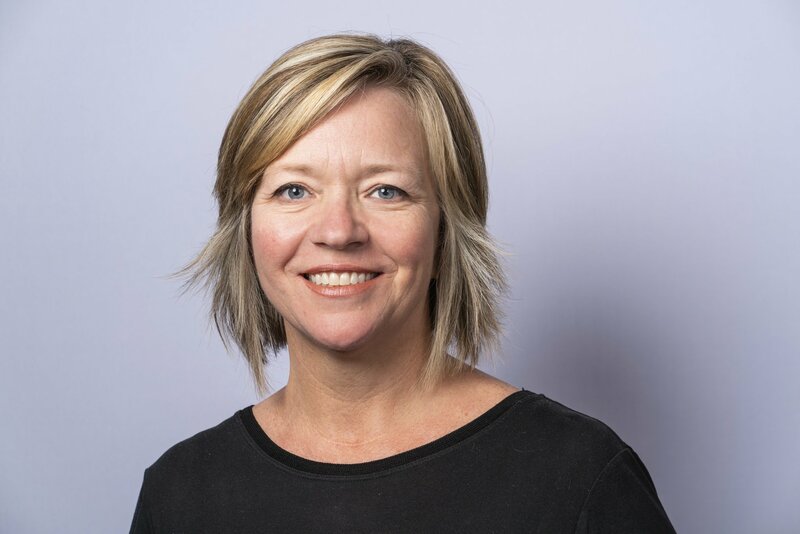 Her expertise as a business leader with a passion for strategic change, proves to be an asset as she works with Illinois manufacturers to realize their visions into actionable plans, helping to create their competitive futures. 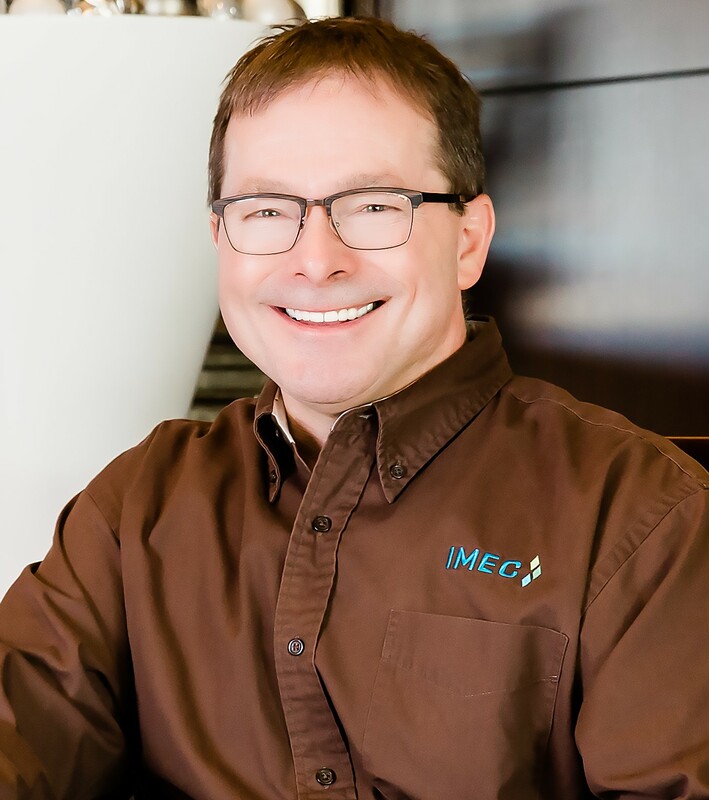 Jim brings over 17 years of expertise in sustainable, lean transformation and continuous process improvements to IMEC. Joining the team as a Technical Specialist in January 2018, the quality of his work embodies IMEC’s mission by helping organizations lead the way to their competitive future. 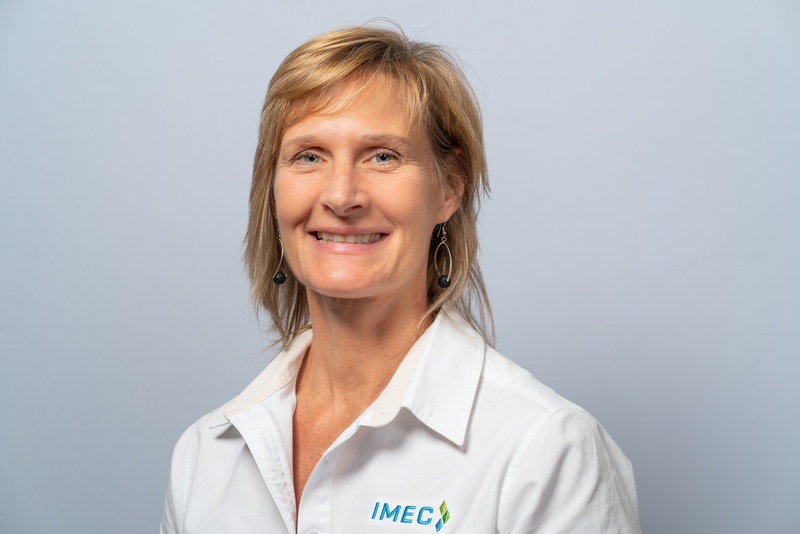 Mary is one of IMEC’s Technical Specialists who demonstrates her passion for enterprise excellence by helping organizations achieve top-line growth. 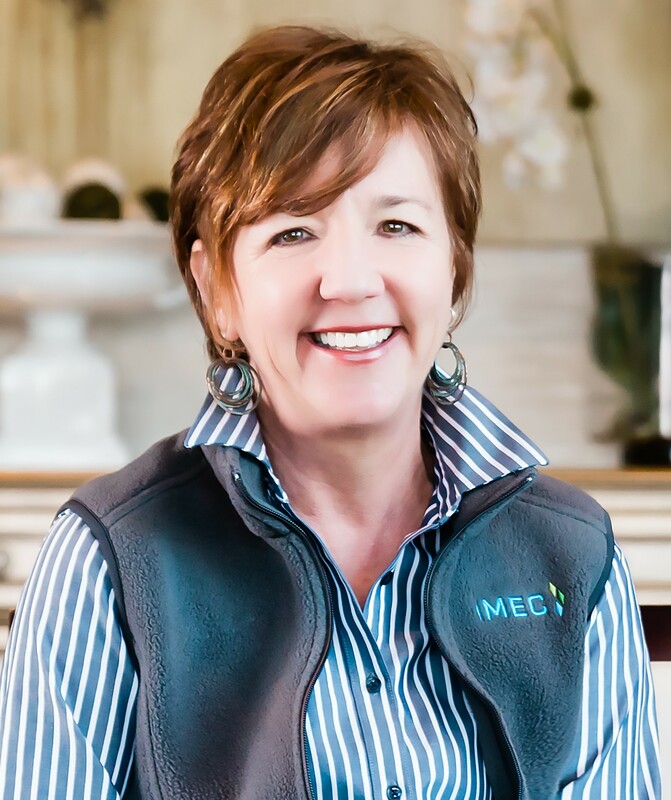 She has been with IMEC for 5 years and has over 35 years of professional experience in marketing, sales and management.